A simple, factual explanation of what Paganism actually is. It is pure information written for anyone who is non Pagan or who is Pagan but wants to know more. It is not meant to impress or proselytize. NOTE: I have had some letters from Christians who claim this essay is anti-Christian. That is not the case. The comparisons with Christianity are objective and without any harmful intent. In simplest terms Paganism is a religion of place, or a native religion, for example the Native American’s religion is Pagan, Hinduism is a form of Paganism. All Pagan religions are characterized by a connection and reverence for nature, and are usually polytheistic i.e. have many Gods and/or Goddesses. 1. Paganism is a religion of nature, in other words Pagans revere Nature. Pagans see the divine as immanent in the whole of life and the universe; in every tree, plant, animal and object, man and woman and in the dark side of life as much as in the light. Pagans live their lives attuned to the cycles of Nature, the seasons, life and death. 3. The Goddess represents all that is female and the God represents all that is male. But because nature is seen as female the Goddess has a wider meaning. Often called Mother Earth or Gaia she is seen as the creatrix and sustainer of life, the mother of us all which makes all the creatures on the planet our siblings. 4. There are sub-groups of named Gods and Goddesses called Pantheons, drawn from the distant past, for example Isis and Osiris from Egypt or Thor, Odin, Freya et al from Norse religion and mythology. Ancient Pagans would have worshipped one or a small number of Gods and Goddesses, whilst often recognizing the validity of other people’s deities. The concept of an overall, un-named Goddess and God, the sum totals of all the others, appears to be a recent one but individual named deities represent particular human qualities or archetypes and are often used as a focus for celebrations and spiritual rites. 5. Paganism has developed alongside mankind for thousands of years; as cultures have changed so has Paganism, yet it is grounded in deep rooted genetic memories that go back to neolithic times and before. Thus Paganism is not just a nature religion but a naturalreligion. 6. Paganism in the west takes a number of forms including Wicca, Druidism, and Shamanism. 7. To Pagans the four ancient elements, Earth, Air, Fire and Water have special significance. The importance of these is hard to define because they have so many correspondences, for example they are associated with the four directions, North, East, South and West. Each element is a kind of spiritual substance from which all things are made especially ourselves and at the same time are Guardians both of ourselves and of the Goddess and God, and guarding the gateways between this world and the other world. 8. Many Pagans believe in reincarnation in some form. It gives Pagans a substantially different view of life. Early Christians saw Karma as a kind of treadmill, trapping people in endless reincarnations, never free. But Pagans see reincarnation as, at best, a chance to improve or to continue unfinished work, and at worst just a simple re-cycling of souls. The revival of Western Paganism is mainly due to the creation of Wicca, the nice modern name for Witchcraft. However Paganism is not Wicca; Wicca is an Occult form of Paganism. The old religion was virtually wiped out by the church of Rome using a combination of propaganda, torture and genocide. Some people held on to the old religion. These were often the wisemen and women or Witches, the root ‘wit’ meaning ‘wise’. The church became impatient and began a purge beginning around 1484 involving the burning of Witches and wholesale slaughter of thousands of people across Europe just on suspicion of being Witches. Not surprisingly, in the face of such oppression the old religion went ‘underground’ and Witches dedicated to preserving the religion formed themselves into secret groups called covens. Christianity’s purge was so successful that the old religion was virtually extinct by the 1900s but in 1899 a book was published by Charles Leland called ‘The Gospel of Aradia’ about Witches in Northern Italy who practiced ‘La Vecchia Religione’ – the Old Religion. In 1921 an English historian, Margaret Murray published a book, ‘The Witch Cult in Western Europe’ in which she maintained that Witchcraft had been a religion. A British ex colonial administrator called Gerald Gardner supposedly revived Witchcraft and called it Wicca. In 1951 the laws against Witchcraft in Britain were repealed and he published a milestone book on the subject, ‘Witchcraft Today’. 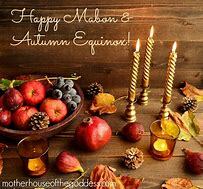 Since that time Wicca has grown in popularity and has encouraged the revival of the original Pagan roots and the re-emergence of other Pagan branches such as the Northern tradition and the modern Druids. Wicca itself has become more eclectic and has absorbed elements of other systems such as the Qabala and elements of Hindu. While Wicca is relatively new, Paganism is as old as mankind and its traditions are still being rediscovered. Samhain(pronounced “sowain”), 31st October: the feast of the dead; remembrance of ancestors and people, now dead, who were important to us. It marks the end of the Celtic year and the start of the spiritual new year. Also known as All Hallows day, the night before being All Hallows Eve (Halloween) or all souls night. Yule, the winter solstice, 21st December approx. : rebirth of the sun and the gradual lengthening of the days towards springtime and new life. Imbolc or Bride’s day: start of spring and the return of the Goddess to the land. Ostara (Easter), the spring equinox, 21st March: Return of the sun from the south, springtime proper. Some celebrate a holy union between God and Goddess. Beltane (starting on May day): Summertime begins celebrating new life and the holy marriage of God and Goddess. Posted on January 31, 2018 January 31, 2018 by Lady BeltanePosted in Daily Posts, Pagan History, Pagan PathsTagged Neo-Pagan, Pagan, Pagan History, Paganism, Wicca, Witchcraft. Previous Previous post: A Very Blessed & Beautiful Tuesday Morning To All My Dear Sweet Family! May The Goddess Shine Brightly on You & Your Today!